Regardless if you spilt coffee, wine, food, your child just vomited on your brand new carpets; maybe you had some crazy students living in your student rental property who have ran back home to mummy and daddy for the holidays, whilst leaving your precious carpets, your floors with rotten fast foods and the delight aroma of adolescence sweat, beer and tears particles, stuck between your carpet fibres. Below are some recent testimonies. "Did a great job on 4 carpets in one of my tenant's homes, thanks again"
"Excellent carpet cleaning service: fast, good quality and reasonably priced - very happy with the results"
"Great experience overall, never thought my carpets could look this clean! Would definitely recommend!" Basically we are only the few Newcastle carpet cleaners in the Tyne and Wear area that will do absolutely everything in our power to clean your carpets, remove those stubborn stains; making your floor, rugs, carpets smelling of heavenly vanilla roses and looking fresher than well FRESH, like the cool breeze from Tynemouth sea. So If it’s a sentence or word and it involves making your home floors and carpets, feel, smell and is clean enough for you to trust a baby to play on it? Then we totally do that! From one-bedroom apartments to three-floor townhouses, the biggest property we have cleaned carpets and floor for is a commercial building that was 5,000 sq ft, it was a gym so can you imagine all the sweat and grind on that floor, so in a nutshell let’s just say Carpet Cleaning Newcastle has got you covered and your carpets. We are Professionally fully trained and insured, and ﻿we guarantee that if you’re not completely satisfied we’ll do the job again free of charge. How do we compare To Other Carpet Cleaning Services In Newcastle and the Tyne & Wear area? We are not just here to push you into our business calendar, and provide you with the cheapest carpet cleaning service ever like £6.99 and do a sloppy half-hearted job and then rush out of your house with wet, damp carpets, missing vital carpet stains and say “here is your invoice” as we speed to our next job, but neither are we the most expensive. Newcastle carpet cleaning company prices? Our prices are very fair, just gives us a call for a quick quote we promise to not hard sell you as just like you we hate hard sell, Simple we just give you a friendly and fair quote and then you can decide, Our prices represent our values and our high standards in serving you the client. We here to clean your carpets to the very best that your carpets can be realistically clean for whilst giving you great end results. The way we also differ from other local carpet & upholstery cleaners is that we make payment as easiest as possible for you, we not only accept cash but we also accept all credit cards and debit cards as payments, so if you rather pay by Visa and MasterCard then we can do that for you. Furthermore, our Newcastle pro carpet cleaners are not some oldie folks who can’t grind hard if a tough stain needs a bit more elbow grease, they will grind hard till it’s gone, with no complaints. This hard work ethic and going beyond the call of duty is what separates our company, compared to the cheaper low grade carpet cleaners who are easily put off by hard work ethics and making sure the client, you are happy. Our Carpet Cleaners in Newcastle are not just honest, reliable and just plain really nice Geordies, they are also fit and healthy so they can do other jobs like moving your expensive furniture safely without damage and get those hard to reach areas. Carpet cleaners in Tyne and Wear ? Our professional rug, carpets and upholstery cleaning services do not just cover Newcastle, we cover the entire Newcastle Upon Tyne area and more, so if you need carpet cleaning in Gosforth, Jesmond or even carpet cleaning in Gateshead we will do that, just contact us if you are in the Tyne and Wear Area. In the end of the day if you siri carpet cleaners near me on your phone in the Newcastle Tyne and Wear area then we most likely will pop up under Carpet Cleaners Newcastle, you can check our reviews from happy customers, Our motto is No Job too small , No job too big. If you need bedroom carpets, a flight of stairs or any other type of cleaning done on your floors or something else we can do it, just give us a call and don’t be afraid to ask and remember we do commercial carpet, rugs and upholstery cleaning too. Do we cover where you live? We clean carpets all over Tyne and wear below are some of the places we cover if we have not mention your town, just gives us a call. Methods of Cleaning Carpets and Floors. There 2 major ways we clean your carpets and it is not just using a Morrisons yellow sponges and some hot soapy water. The first way is called Dry Cleaning, this is sometimes known as "low moisture" what this basically means for you is there is ZERO time for your carpets to dry. It is the ideal answer for reviving sensitive floor coverings and carpets made of silk, rayon, bamboo and other common materials. Exceptional cleaning powder is spread everywhere throughout the treated region and tenderly rubbed in utilising pivoting brushes. The technique depends on the way that the powder artificially bonds with earth and build-up’s. At that point simply vacuuming the floor piece, abandons it new. Floor covering cleaning evacuates 99% of the allergens viably. The strategy for washing your floor coverings with no water has considerably more focal points. There is no shrinkage and shading running, which is vital for the terrific looks of your floor piece. The second method our Geordie Carpet Cleaners use is the Steam Effect..
With our boiling hot water extraction machines, filthy floor coverings and mats don't stay dirty for long. Basically, with this method of cleaning, we can without much of a stretch expel terrible stains and microscopic organisms, so you can at the end of the day roll around on your crisp and clean carpets. The science behind the Steam carpet cleaning is otherwise called heated water extraction, works simply like it sounds. It infuses warmed water blended with dynamic fixings into the fabrics. The extraordinary machines draws back the arrangement expelling all broke up soil and grime. Boiling hot water extraction works truly well for standard fabric rugs, sleeping pads, floor coverings and upholstery. Carpets can be considered as one of the greatest assets that you have in the home. Therefore, it is extremely important for you to make sure they remain in their best condition every time. Carpets that you have inside the home could get damaged in different ways. You could accidentally split food or coffee on your carpet, one of your guests could vomit after a party held at your place or your pets could ruin it. In all such instances, you need to get in touch with a professional carpet cleaning service as soon as possible. Otherwise, you will have to go through the hassle associated with replacing expensive carpets that you have at your home. The best carpet cleaners in Newcastle ? In order to get your carpets cleaned, you need to get the assistance of the best cleaning service provider in town, That’s where we can assist you with. 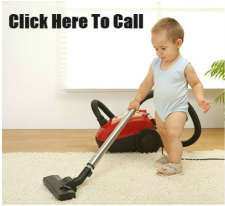 We offer the best carpet cleaning services for the people in Newcastle. We can do anything in order to get back your unclean carpets to their original condition. We offer an extensive range of carpet cleaning solutions as well, which include streaming, vacuuming, cleansing, mopping and washing. We have got a team of highly experienced and skilled staff who can deliver a quick and a hassle free service to you. Moreover, we are equipped with high tech industry cleaners and they would never damage your expensive carpets. Carpet pretreatment – During this stage, we would spray a solution on your carpets. It is done before the cleaning process with the objective of getting spots, dirt or ground on your carpet to come out. Carpet cleaning – During the carpet cleaning stage, we will take necessary measures in order to make your carpets look new and shiny. We determine the best carpet cleaning method based on the type of carpet you own and the type of cleaning that is required by it. In other words, we will use dry extraction, cold water extraction, steam cleaning or any other method based on the effectiveness. As a result, you are guaranteed to get the best possible results from our carpet cleaning service in Newcastle. 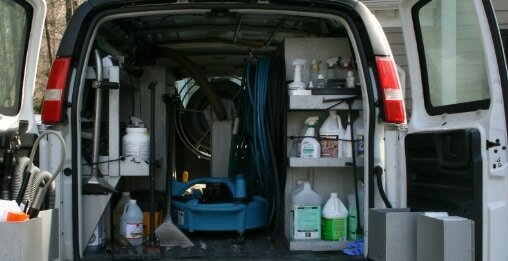 Neutralizing carpets – The final stage of carpet cleaning is all about neutralizing. During the neutralizing stage, we make sure that no residue is left on your carpet. In addition, we will make your carpet feel new and soft during this stage. As you can see, here at Carpet Cleaners Newcastle , we offer the best and the most convenient professional carpet cleaning services in Newcastle and other Tyne and Wear areas ( check out carpet cleaners in Gosforth and carpet cleaners in Boldon) for the people who are in need to get their carpets cleaned fast, effective and affordable. If it is your regular carpet cleaning job or if you spill something accidentally on your carpet, you just need to contact us on 01916660301 and we will help you get your carpets back to their original condition. Our services are just a phone call away and you can leave your details on the quote form on your left if you desire and we will get back to you asap.